Home How can I change the activity log view mode between pagination and infinite scroll? 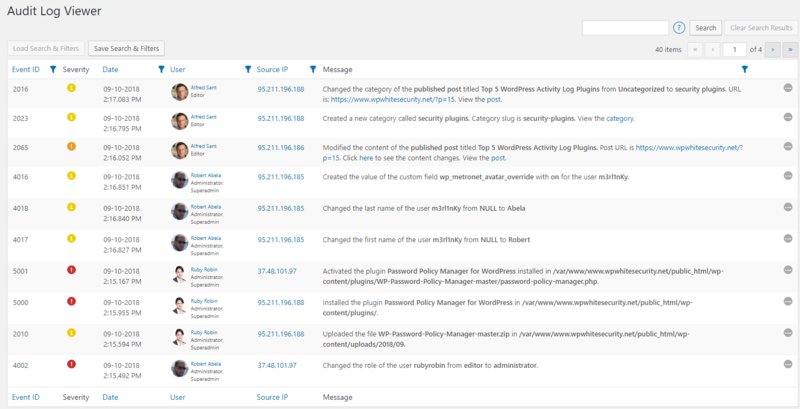 The audit log viewer in the WP Security Audit Log is the main screen of the plugin, with which you can see all the events in your activity log. The audit log is available in two different views, pagination and infinite scroll. You can change the view mode of the audit log viewer from the plugin’s general settings, as shown in the below screenshot. Which Audit Log Viewer View Mode is the Best? Unless you really need pagination we would recommend you to use Infinite Scroll, which is much faster and requires less resources. When using pagination mode the plugin has to count all the events in the activity log to create the pagination, which takes resources and slows down the loading of the activity log.